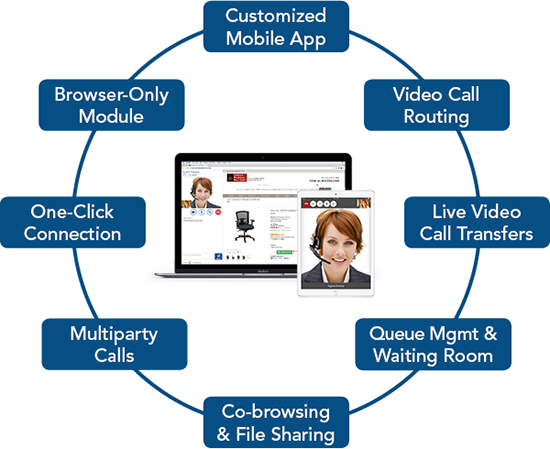 Real-time video call routing by expertise, language & location. Mobile, web, email, kiosks. 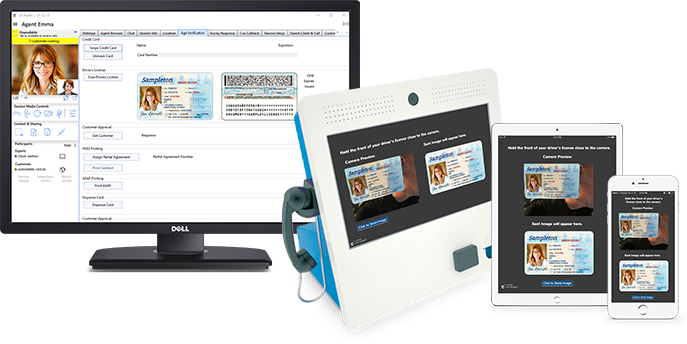 Mobile & online telehealth platform with co-browsing, file sharing, and integrated remote patient monitoring. One-click connects to right advisor. Kiosk software for remote services and transaction processing. Flexible hardware & form factor. Video chat service & support. 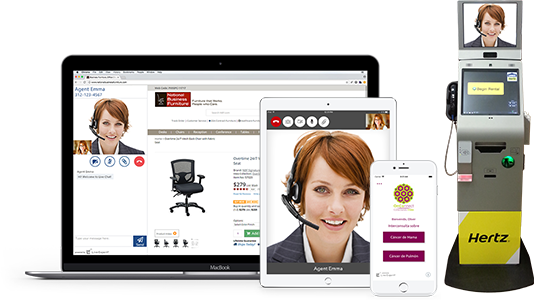 Video chat system that will elevate customer experience and take business performance to the next level. Next generation telehealth system that will improve patient engagement & adherence and advance value-based care. Video chat support app that connects customers and employees to the right expert every time. To provide high engagement video services in real-time, you need a system far more advanced than a video conferencing product. 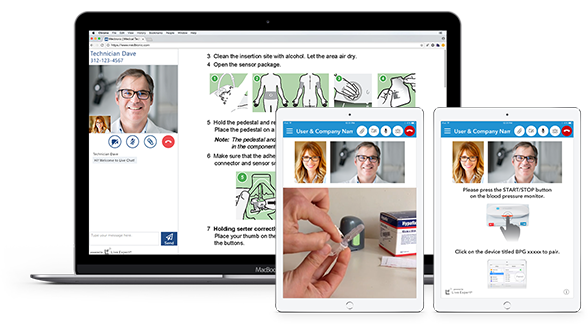 Live Expert is the most comprehensive video-based customer service system for B2B, B2C and healthcare – used by both Fortune 500 and smaller companies. Instantly connects each customer with the right advisor based on expertise, language or location. 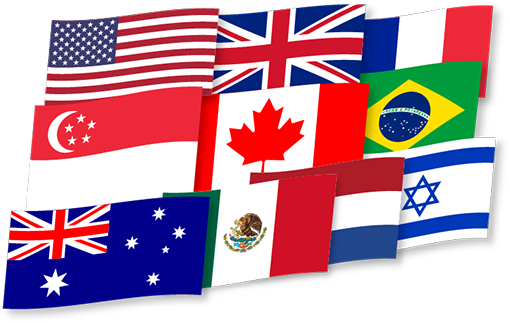 Provides co-browsing, file sharing, screen sharing, transaction processing and ID verification. Works across all digital channels – mobile, web, email, kiosks. Hertz operates hundreds of ExpressRent video chat kiosks using our Live Expert Station software at hundreds of airports and off-airport locations. Using Live Expert, remote agents can serve customers at any location on demand, speed customers through the rental process, reduce wait times, and increase upgrades and add-on sales. 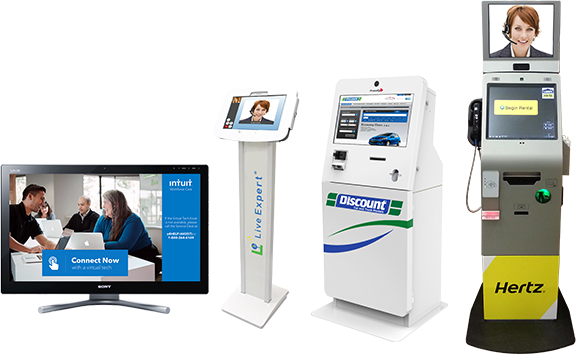 Live Expert Station allows businesses to efficiently create points of presence without adding onsite staff or offices, ultimately producing higher ROI. 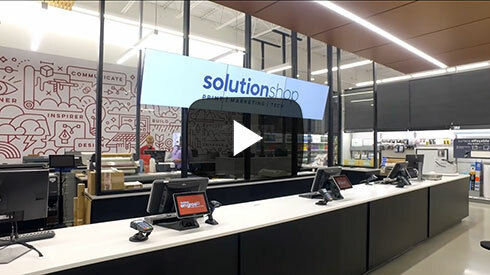 Staples Canada is undertaking an ambitious transformation of its entire business. Key drivers of this transformation are Services, Learning, Shared Workspace, and Fashion-Forward Products. 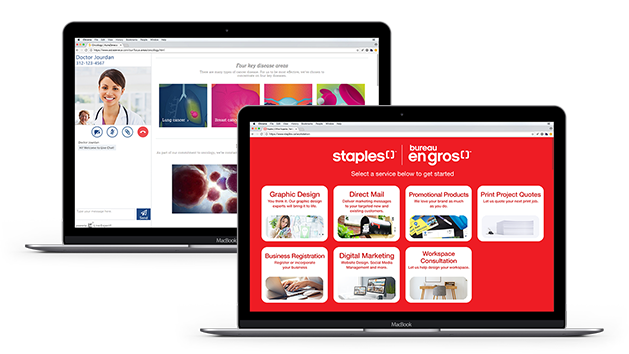 Live Expert is an integral part of Staples Canada’s expanding services business, allowing them to efficiently provide a wide range of professional services virtually to instore and online customers: graphic design, direct mail, digital marketing, print projects, promotional products.